Polish cities have begun to follow the example of Brits, who in the 80s became fascinated with the possibilities that closed-circuit television (CCTV) technology brought. Scientists in Bytom have been conducting research on state-of-the-art equipment – intelligent urban monitoring – that is supposed to solve the problem of delinquency. Closed circuit television appeared in the Warsaw Central Rail Station in the 70s and its aim was to combat petty crime, the victims of which were passengers travelling by railway. 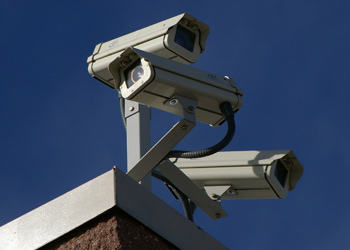 Today, cameras are installed on private property, mainly at shopping centres and banks. Due to their implicit value, local governments also place them in public buildings, on stadiums, streets, interchanges and also in schools and kindergartens. “Thanks to cameras, an urban system of monitoring cannot only show what is going on in important points of the city, but also signal in advance potentially hostile people and situations,” claimed the scientists from Bytom, who are working on the technology that would enable such monitoring. The specialists from the Polish-Japanese Institute of Information Technology, which has its own non-local department of IT in Bytom, are commencing the research on innovative solutions leading to an increase of security in cities and local properties. The project will last for two years and its main outcome will be a system of automatic identification of behaviour and people as well as a method of detecting dangerous situations. The technology is characterized by the automatic recognition of a person on the basis of his or her walk and the assessment of the emotional state of particular people judging from their movements and gestures. The technology will also allow for immediate detection of atypical or dangerous movements of an individual or a group of people. The programming at the basis of the system will enable it to single out any situations that stray from an expected pattern, and automatically flag them for those behind the cameras to see. In this way, the company controlling the cameras will be able to react quickly enough to prevent a crime or to search for people or for characteristic behaviours in the file of records on the basis of specific movements and existing models. An advanced technique will be able to automatically detect a given person (or group) and keep track of their silhouette within the supervised area, allowing the system to notice if a person who has committed a crime has appeared in another part of the city. In addition to university representatives from the Polish-Japanese Institute of IT, scientists and IT specialists from abroad have also been working on this project. “We will do our best so that the project is successful due to its significant functional values. We hope that thanks to our cooperation with the scientific community we will be able to enrich the service of monitoring with new elements like the recognition of people or the identification of dangerous behaviours,” said Zbigniew Szkaradnik, the chairperson of Silesian Fibre-Optic Networks, a company also cooperating with the scientists. Bytom has one of the most advanced systems of urban monitoring in the region. However, it is not the only city that utilises a high-tech system. For example, Poznań has 161 cameras that act within an umbrella system of monitoring and enable the identification of people both during the day and at night. It is an error to think that only large cities can afford monitoring systems, since there are plenty of funds one may make use of. Local governmental resources most often finance the construction of a monitoring system. It is possible, though, to receive a subsidy from the European Union. The costs of investment can also be covered by the police, a private sponsor or a foundation established for this aim. The main benefits of the system are as follows: a general decrease in acts of vandalism in all monitored areas, a drop in delinquency, evidence against unfair compensation cases, a decrease in shoplifting, a possibility to gain a body of evidence in case of a crime, and the increase of a feeling of security amongst inhabitants. A real added value of the enterprise is the training and employment of the disabled and long-term unemployed for positions controlling the cameras. To date, in areas within the range of CCTV cameras there has been a radical decrease in assaults, hooligan pranks, thefts, destruction of property and an increase in the obedience of the rules of traffic. As a result, petty crime in monitored regions of Radom fell by 50 percent, in other cities by 25-75 percent. A CCTV system on an IP network is the basic technology of modern urban monitoring. 19 cameras in Bytom are connected by fibre-optic cable thanks to which the flexibility of the system has increased. Because of modern technology, the centre of monitoring may be placed even several thousand kilometres from a camera, without the loss of the quality of the picture, which can be also observed over the Internet. The Polish-Japanese Institute of Information Technology was established in 1994 thanks to an agreement between Poland and Japan. The urban monitoring system will be one of the fruits of the Institute.